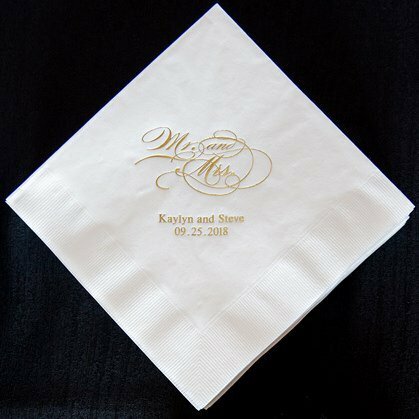 Most Recommended 2016 Item by Brides! Elegant and decorative, this Script Mr. and Mrs. design headlines your names in the most striking way. 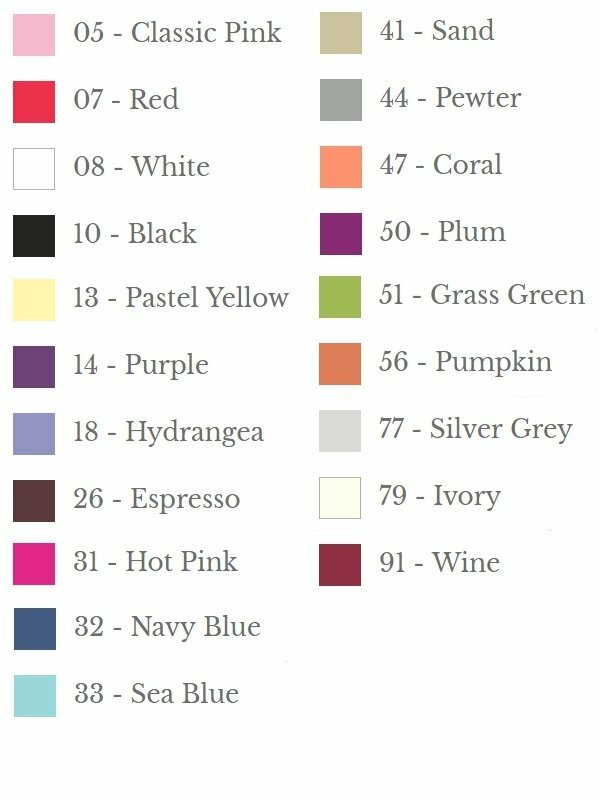 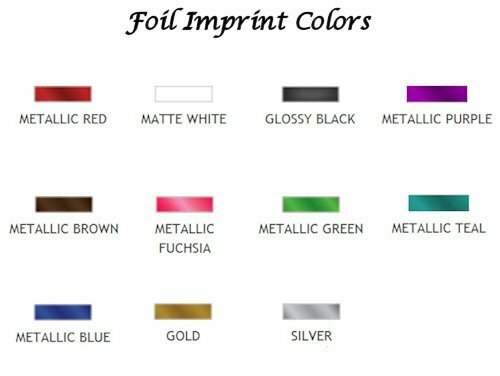 Choose from a large variety of colors to match your decor along with your names and date in your choice of foil colors. 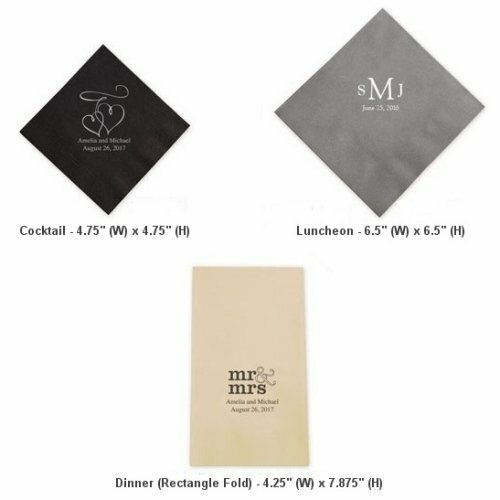 Three ply napkins come in sets and are available in three different sizes. 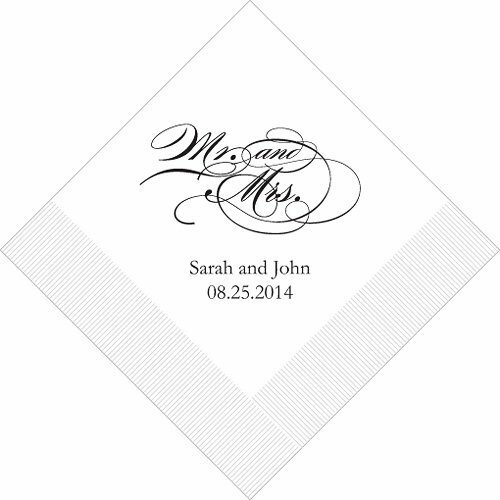 These Mr. & Mrs. personalized napkins are perfect for your wedding reception, and will be useful at the bar, dinner tables, and when serving the cake. 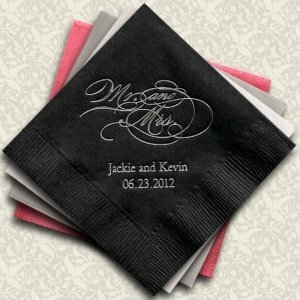 Be careful of ordering light ink on a light background!